Monday - Happy Hour all night! Meter Parking on Huron or Prospect. Lots - Directly behind AJR on Bolivar. 2 Garages on Huron, west of AJR. Garage/lots will have a fee whenever Progressive Field has a game and every time The Q has an event. Varies from $5 to $20. When there is no event, parking is free or pay in the box. Very simple walk to East 4th Street and Playhouse Square. © 2019 A.J. 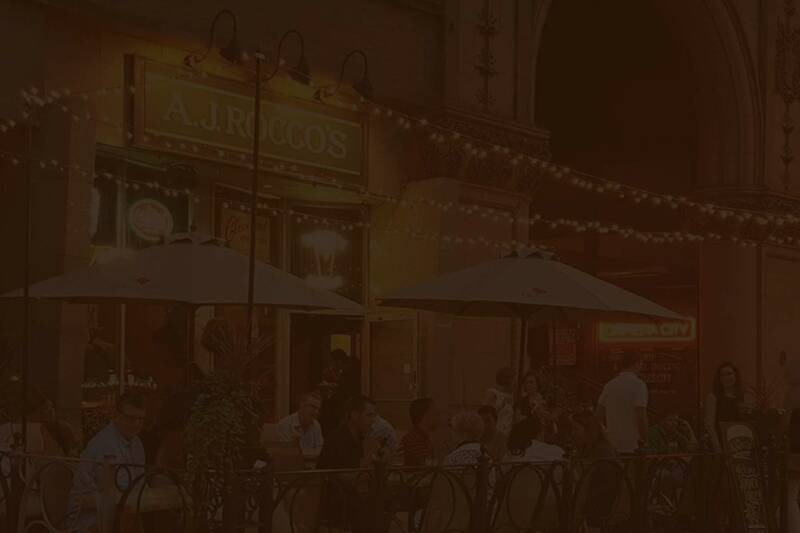 Rocco's. All rights reserved.